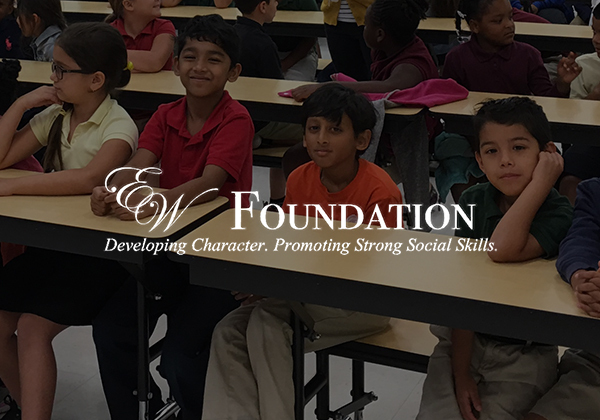 The EW Foundation (EWF) is an educational nonprofit providing award-winning character education books and programs for children and youth, with fundraising opportunities to charities, missions and schools. Since 2014, EWF has benefited over 13,000 children with their award-winning character education books and programs, and provided author visits and signed copies of Tame Your Manners and Sip Tea with Mad Hatter books to 30 academies and schools, and 17 charities. Slatkow & Husak helps bring awareness to the educational nonprofit by promoting its “Interactive Story Time” author visits, benefit events and donor spotlights through a variety of media outlets.